BaxTek Solutions offers industry-leading software systems; from entry-level to full-featured warehouse management systems, BaxTek Solutions offers the highest quality solutions. We offer software solutions from manufacturers such as Invetrak, Redbeam, Intellitrack, and more. Our software packages include Asset tracking, warehouse management, inventory tracking, Barcode-label printing, and physical inventory. BaxTek Solutions also provides reliable consulting and custom software development for all database-driven applications used on your mobile device. BaxTek will work within your unique circumstance to develop the best possible solution for your company. Let BaxTek Solutions be the vendor of choice for all of your warehouse software needs. BaxTek Solutions provides reliable consulting and custom software application development for all database driven applications on your mobile device. BaxTek will work with your unique situation to make the best fit program to benefit your company. An asset tracking system like no other. With advanced features such as a configurable multi-level locator system, sub-asset capabilities, user-defined fields, electronic inspection and maintenance logs, batch and/or wireless data collection, and GPS integration. There is virtually no asset we can't manage. "Fixed Asset" software keeps your computer equipment, vehicles, office equipment and furniture under your control. 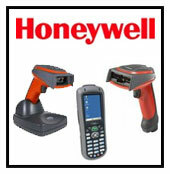 Hardware options are hand held barcode scanners or scanner enabled mobile data terminals. This asset tracking software records your assets and does a periodic physical inventory. Use "Check In/Check out" and a bar code scanner to keep track of file folders, tools, rental equipment, videos and who they were checked out to. Reports can tell what was checked out and who received it. Monitor usage, overdue items and rental fees. Check your inventory with barcode scanners and inventory management software. Report on material movement, inventory levels, out of stock, reorder and overstock. Scanner enabled mobile data computers allow you to scan items where they are located. BlackBox GPS offers versatile asset monitoring solutions, providing the ability to locate and monitor your vehicles, assets, or loved ones 24 hours a day, 7 days a week. From vehicle monitoring to asset tracking, BlackBox GPS provides tracking solutions for virtually anything on the move. This powerful tracking application will help cut fuel costs, minimize expenses, and improve productivity while still monitoring your most valuable assets. The Sky-Trax System is designed to track the movement of vehicles, such as fork lifts, inside factories and warehouses. STS automatically determines vehicle position with great accuracy and provides real-time position data to the driver. It can record precise location data for the movement of goods within a bulk storage area and guide the driver to the next pick-up or put-away spot. The system captures and displays the location of all vehicles, aiding managers, warehouse operators and/or computer systems such as warehouse management systems. Software for designing and printing labels with your Zebra, Datamax or other printer at your desktop or for the entire enterprise. Options to choose from include NiceLabel Express, NiceLabel Pro and NiceLabel Suite. Stratum Global provides a complete integrated RFID software solution suite called TagNet. This suite consists of server components and �client� application modules for RFID deployment within any organization. Bar code label printing software for your desktop or your enterprise. You have total control over designing and printing labels on your thermal barcode printer. Available in Basic, Professional and Enterprise editions. SmartTurn is an easy-to-use, quick-to-deploy inventory and warehouse management system that increases visibility and control of all inventory processes. SmartTurn customers benefit from increased accuracy, improved service levels and reduced cost of operations. LabelClinic ISBT is an on-demand database and printing software that conforms to the ISBT-128 standard for blood product identification from the International Council for Commonality in Blood Banking Automation, Inc. (ICCBBA). LabelClinic provides a secure, robust and flexible ISBT-128 and Codabar compliant label printing environment that can be integrated into your Blood Bank Management System or operated as a stand-alone system. Best in industry, suited to fit your exact needs! Provides advanced brand protection and brandauthentication solutions to food, beverage, and consumer goods companies including- Minimizing Brand Damage, Cost Profit Optimization, Brand Promotion, Value Chain Intelligence, Cold Chain Intelligence, and Compliance. FoodLogiQ’s On Demand Food Safety and Quality Management software provides a cost effective, web/mobile, platform for automating the food safety best practices and provides value chain management, traceability and communication.